There is some confusion about the reverse lights on the 356 C. Mainly because there are so many things that fit into that spot on the car. Some were made by Bosch, some by Hella. Some were made for Volkswagen and BMW, some were made for Porsche. They are all the same dimensions. A lens for one will fit with the others, but if you want to be original and correct, you need the right thing. 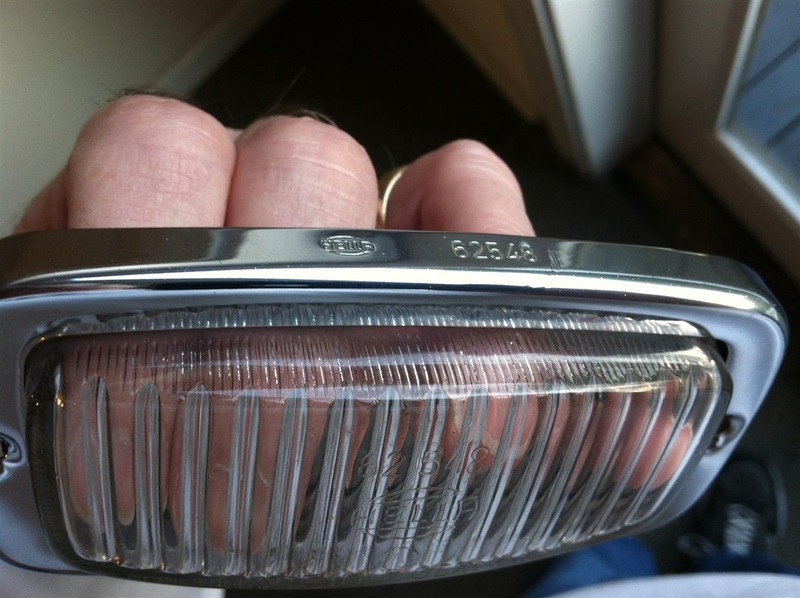 The reverse lights for the 356 C were all made by Hella, not Bosch. The lens needs to have the notations per the photos below. Same with the chrome bezel. The original lens is glass. There are reproduction lens made, but they are not the same markings. 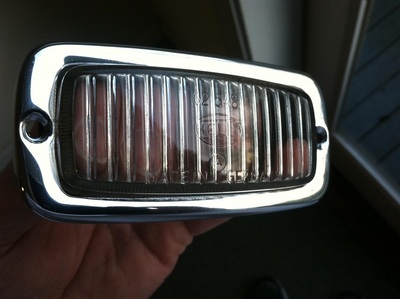 Look at the lens offered by your favorite 356 parts supplier, and you'll see markings on the left side of the lens. Those markings you see were not there on the 356 C production run. Maybe they were there prior to the 356 C, but if so, they were gone by the time the C cars were being produced. So, there are no reproduction lens that I am aware of that are exactly the same as original. If you want one, search for a used original one. I would like to thank Wil Mittelbach for helping me with this information. Photos below. Click on them to enlarge for better viewing.